From the bestselling author of Midwives and The Flight Attendant, a comic and life affirming novel of the clash between progress and tradition, science and magic: “one of the most elegantly philosophical, urgent—yet somehow timeless—novels of these perilous times” (Howard Norman, National Book Award finalist for The Bird Artist). Vermont is drying up. The normally lush, green countryside is in the grip of the worst drought in years: stunted cornstalks rasp in the hot July breeze, parched vegetable gardens wither and die, the Chittenden River shrinks to a trickle, and the drilling trucks are booked solid as one by one the wells give out. Patience Avery, known nationwide as a gifted "water witch", is having a busy summer, too. Using the tools of the dowser's trade —divining sticks, metal rods, bobbers, and pendulums—she can locate, among other things, aquifers deep within the earth. In the midst of this crisis, Scottie Winston lobbies for permits to expand Powder Peak, a local ski area that's his law firm's principal client. As part of the expansion, the resort seeks to draw water for snowmaking from the beleaguered Chittenden, despite opposition from environmentalists who fear that the already weakened river will be damaged beyond repair. "As welcome as rain on a parched garden." "In Chris Bohjalian's wise, splendid book, we hear the echo and avalanche made when centuries collide. One of the most elegantly philosophical, urgent -- yet somehow timeless -- novels of these perilous times." "A bewitching tale from New England by a writer with a generous heart for his subjects, and respect for a landscape he clearly loves. 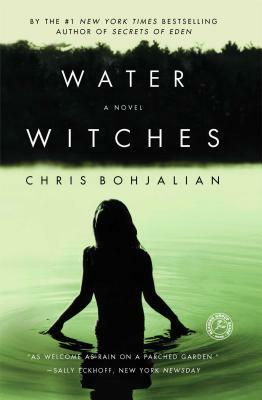 Chris Bohjalian's voice is as steady and sure as Vermont rain." "I was charmed by the mixture of country lore and planning boards, new age witches and old-fashioned family duties....For anyone interested in the way that we live with the land, on the land, today, this novel makes for a thoughtful evening or two of entertaining reading." "Anyone whose family is divided between conservatives and liberals will squirm with recognition....Anyone who has enjoyed the pretension to being an insider in a capital city -- be it Montpelier or Washington -- will laugh uncomfortably." "Bohjalian's book is as beautifully made as a Windsor chair, as comforting as a long woodpile in October, and as flavorful as a Northern Spy apple."